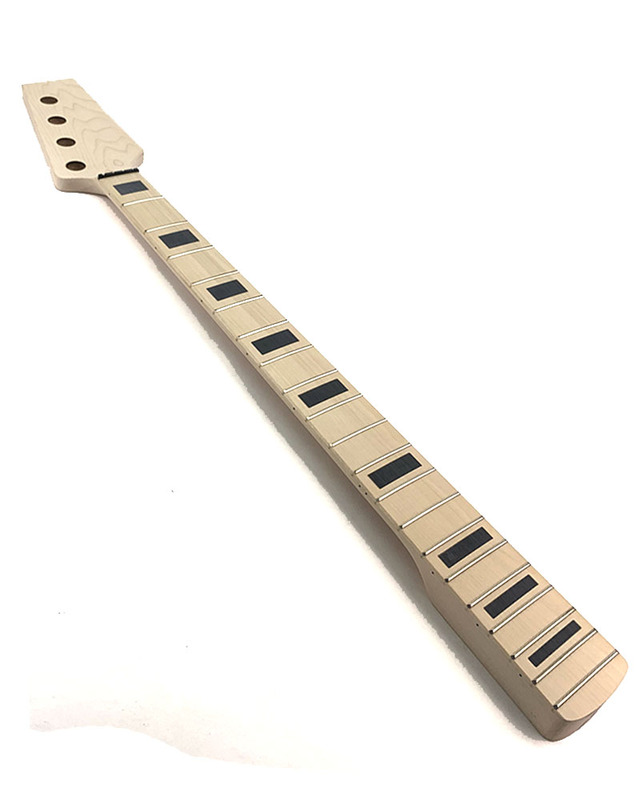 Our new DJB-4 has a 2 piece Ash body with a Maple neck and Engineered Rosewood or Maple Fretboard, with Block inlays*. 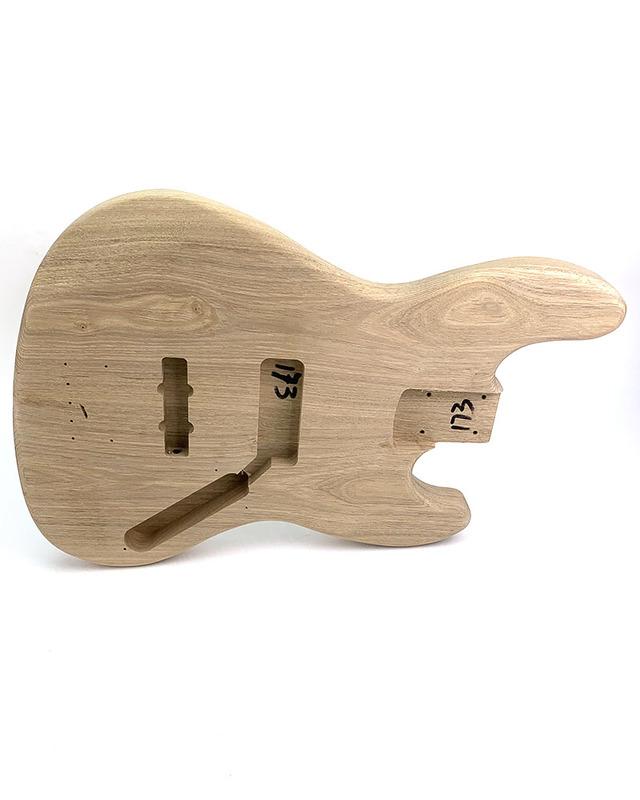 Please note that Ash and Maple are natural products and vary greatly. 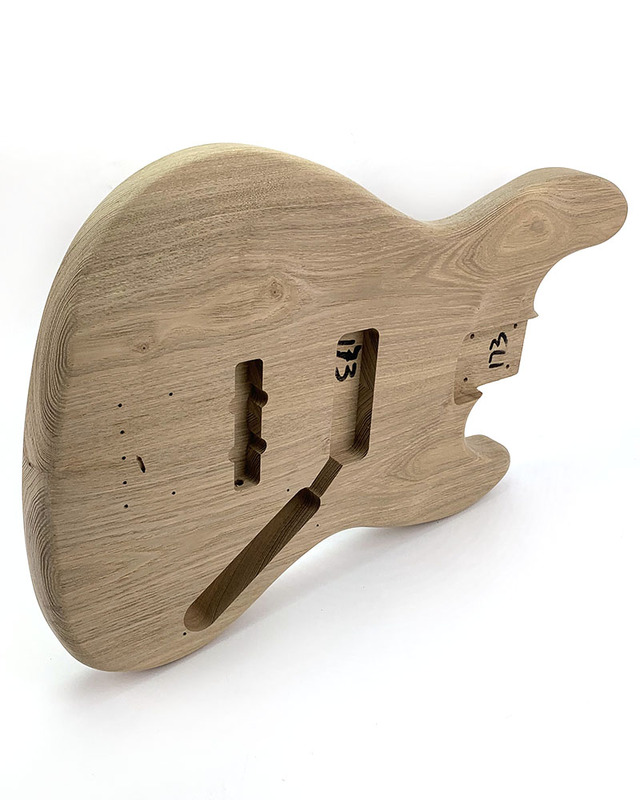 The kit you receive will differ in grain pattern from the kit pictured here. The White pickguard is pre-loaded so there is minimal soldering involved. 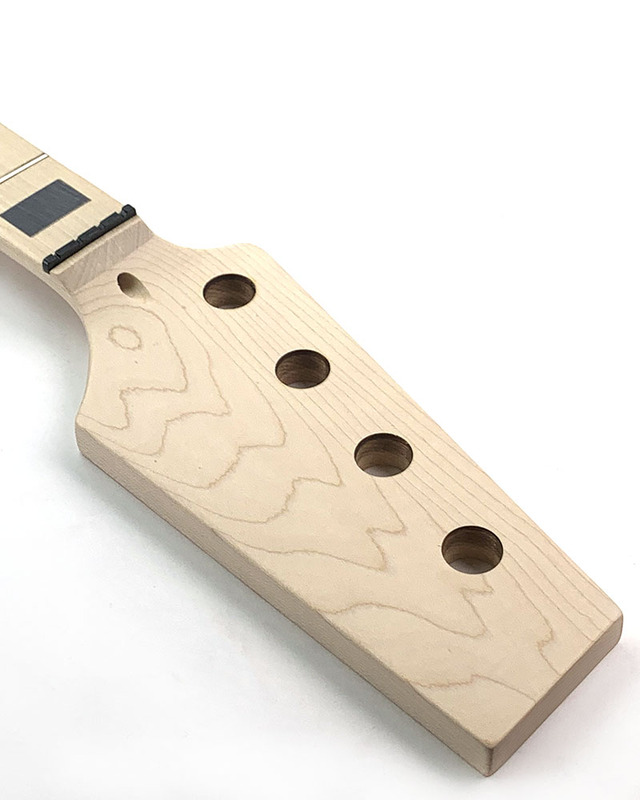 Black loaded pickguard supplied with Black hardware option. 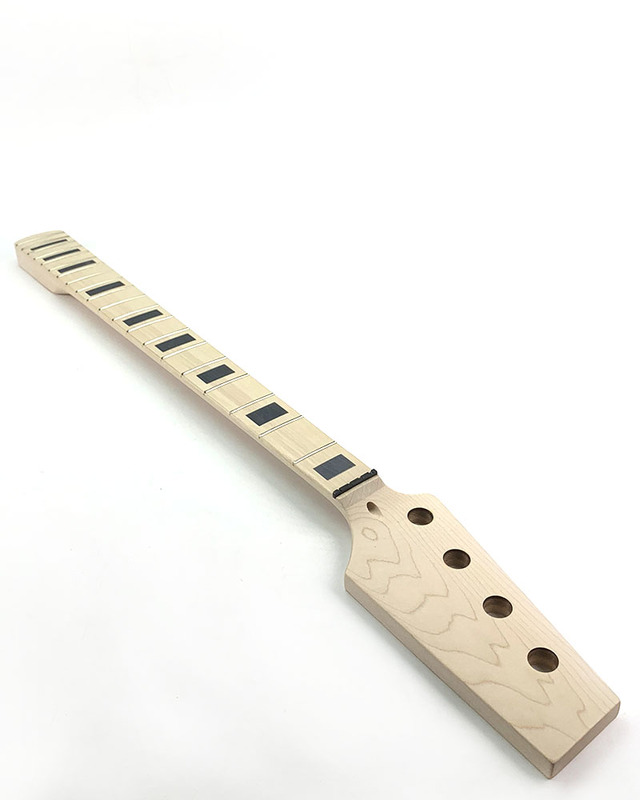 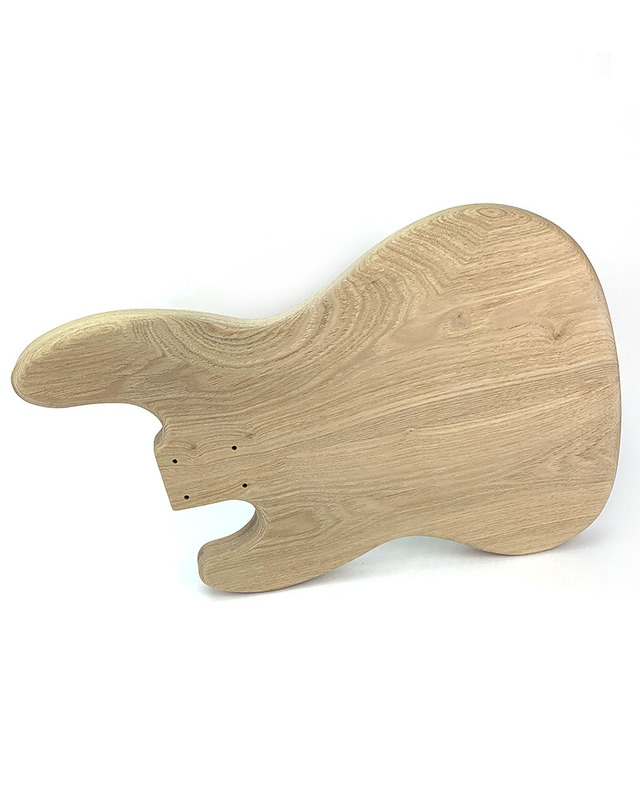 *Block inlays are printed on the Maple fretboard. 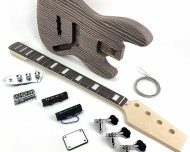 Level of Soldering Difficulty: Simple – a great place to start for new builders. 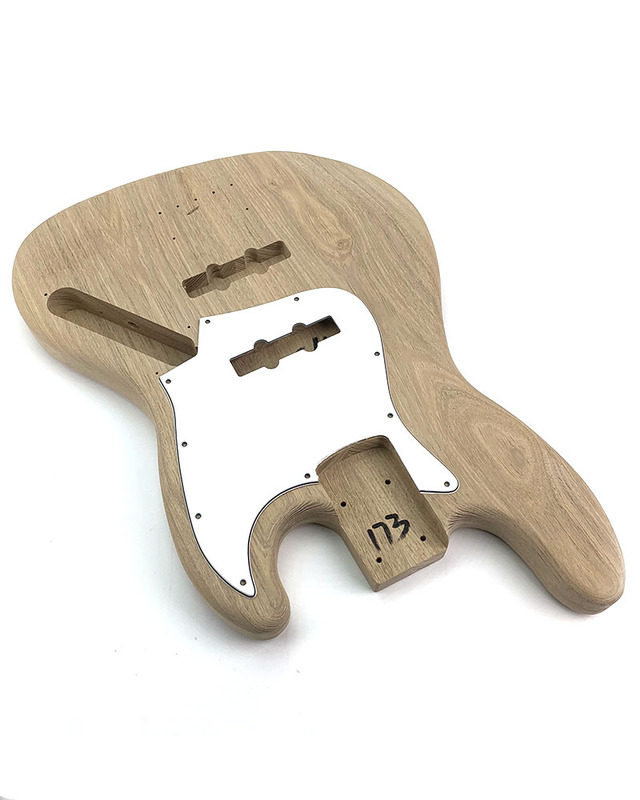 Only needs a couple of solders to join the pickups to the prewired pickguard. 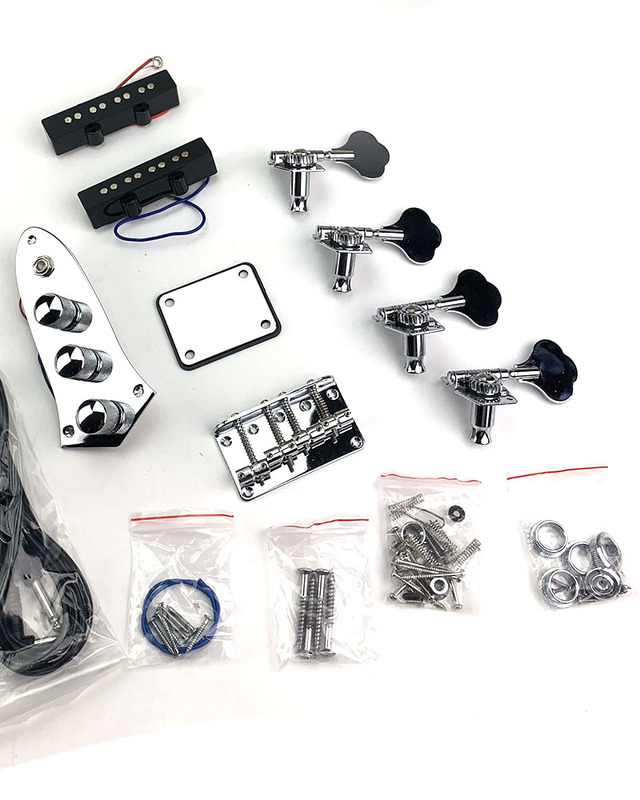 Not all small parts pictured. 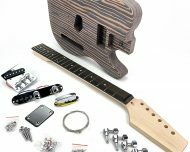 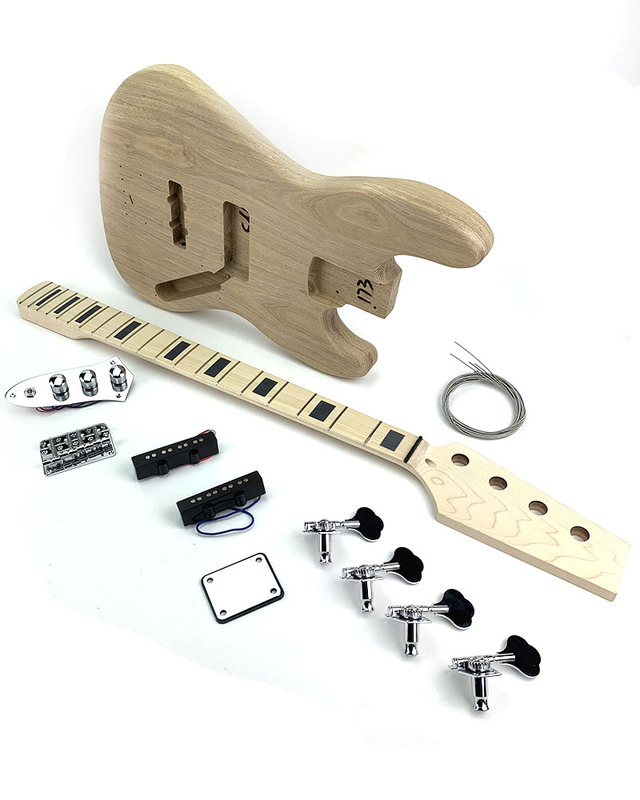 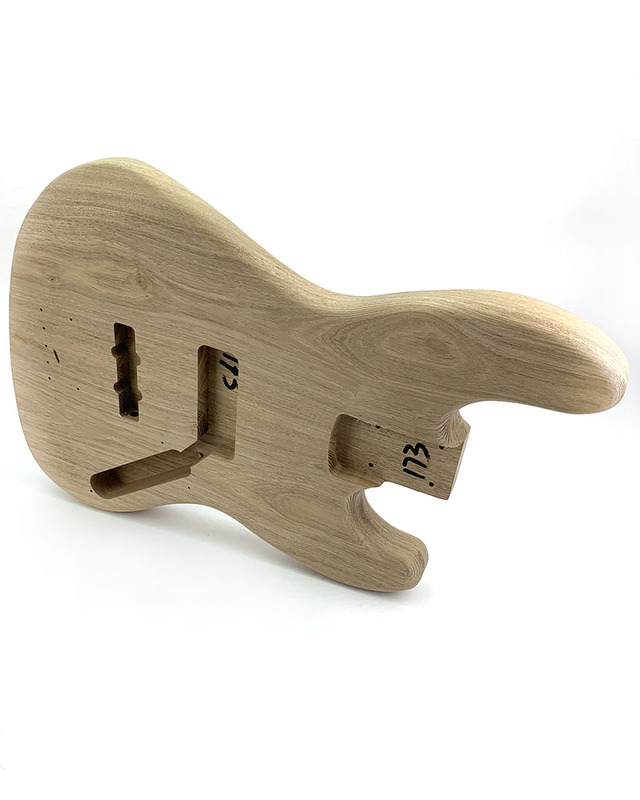 This kit contains everything you need to build a complete, playable guitar, except your choice of finish.